SA-SO traffic paddles are designed to help crossing guards control traffic and alert motorists to the presence of pedestrians on well travelled streets. SA-SO’s Ultra-Light™ traffic control paddles are impact-resistant and come in either STOP/STOP or STOP/SLOW versions. These traffic control paddles offer all of the benefits of aluminum paddles but are much safer and reduce the risk of personal injury. This is not a typical plastic paddle, it is made from a honeycomb polypropylene material that is extremely light and durable. 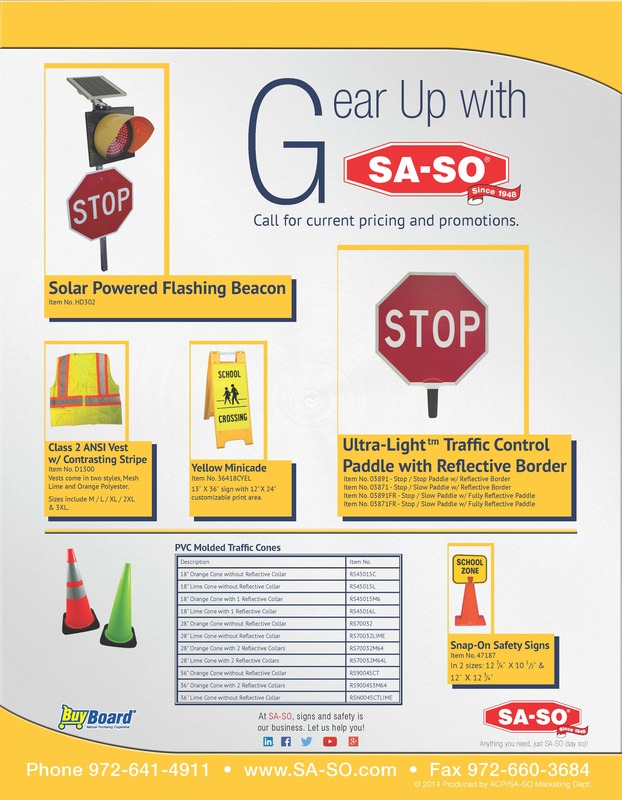 Download the promotional Traffic Control Paddle flyer. Read the Ultra-Light Traffic Control Paddle blog article.